Following research linking neonicotinoid pesticides to the decline in bee populations, France has announced it plans to ban Cruiser OSR, an insecticide produced by Sygenta. Recent studies, including one in France, have shown that neonicotinoid pesticides likely hurt bees’ ability to navigate, potentially devastating hives. France has said it will give Sygenta two weeks to prove the pesticide is not linked to the bee decline, known as Colony Collapse Disorder (CCD). 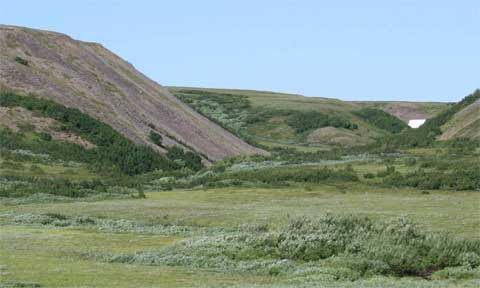 Tundra Transformations Due to Climate Change: I found this article on ecosystem changes due to climate change. B.C. Forbes In a warming region of the Arctic, tundra shrubs are turning into small trees, with big implications. South Africa’s natural environment has, over the past 20 years, deteriorated nearly the fastest of most countries in the world, Beeld newspaper reported on Monday (13/02/2012). This was the finding of a group of scientists at the universities of Yale and Columbia, in the United States, who measured the state of the environment in 132 countries, in collaboration with the World Economic Forum. South Africa was in 128th place, with Iraq last on the list. Using 22 indicators, researchers found the Swiss had managed and conserved their natural environment the best. Swiss air and water quality, biodiversity and the management and conservation of ecosystems were found to be the best in the world. According to the report, it was clear South Africa’s air and water quality, biodiversity, the functioning of its ecosystems, and its agricultural and fishery systems, had seriously deteriorated. The researchers also measured and compared the current state of human health with that in 1992. The Wildlife and Environment Society of SA said the findings were shocking. Director Garth Barnes said it was clear that environmental laws in South Africa were not being applied, even though the country had some of the best environmental legislation in the world. ScienceDaily (Jan. 7, 2012) — A Malagasy-German research team has discovered a new primate species in the Sahafina Forest in eastern Madagascar, a forest that has not been studied before. 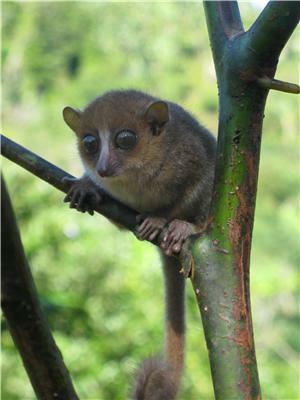 The name of the new species is Gerp’s mouse lemur (Microcebus gerpi), chosen to honour the Malagasy research group GERP (Groupe d’Étude et de Recherche sur les Primates de Madagascar). Several researchers of GERP have visited the Sahafina Forest in 2008 and 2009 to create an inventory the local lemurs. A truly fascinating read, I might properly not agree entirely, but you do make some quite legitimate factors.